The “Trumps” Go Shuffling at the Royal Palms!! Shufflers: That is Ivanka Trump at, where else, THE ROYAL PALMS!! Ivanka is the daughter of Donald Trump!! The entrepreneur shared a couple of images from their evening out on the town, one of which shows her looking incredibly focused on the game in hand – while dressed casually in a pair of black jeans and a knitted jumper. 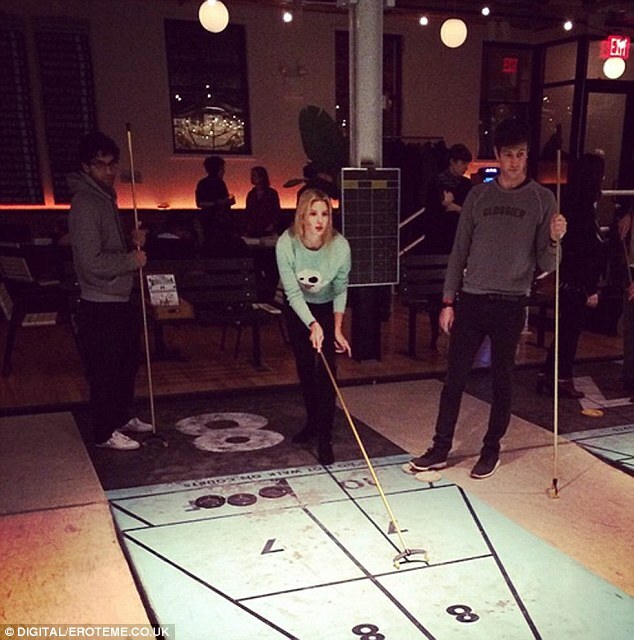 The 33-year-old heiress and her husband enjoyed a rare night off from parenting duties in order to celebrate Jared’s birthday at the Royal Palms Shuffleboard Club in Brooklyn, New York. Article sent along by Bob Weber with thanks!!! 2015 01 13.